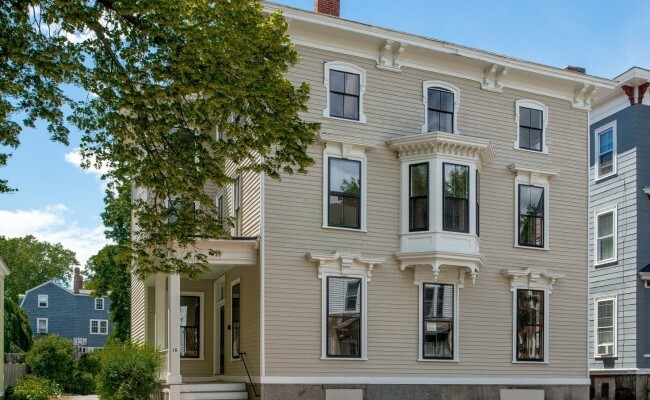 This large imposing Italianate style structure fronting busy Summer Street, and just outside of downtown Salem, MA, consisted of four apartments which were dated and in great need of repair. 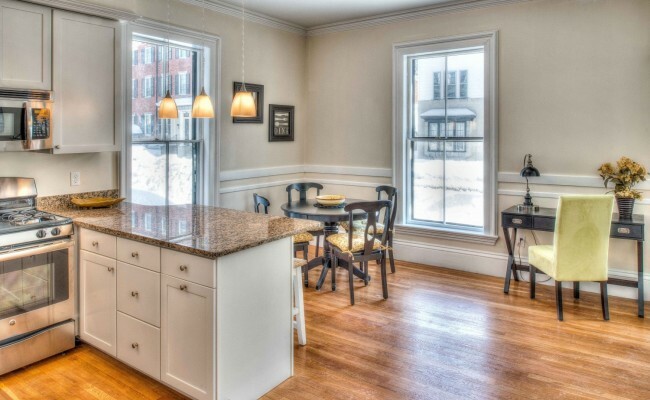 Local, family owned developer Salem Renewal Ventures purchased the property and through a sensitive renovation transformed the Italianate appointed Federal style home into a mix of flats and townhomes. A vibrant mix of unit configurations opened the project to a wide demographic and created visual interest to the plan. Existing historic fabric such as fireplaces, entries, main stair and moldings were retained and add character and a sense of history. Reuse of original, wide plank, pumpkin pine wood floors and deep, wide and richly shaped casings together with a contemporary kitchen and lighting add a sense of history coupled with a modern aesthetic. Each unit is appointed with two bedrooms and two baths (master with en suite bath), full, modern eat-in kitchen with peninsula, large living and dining area. 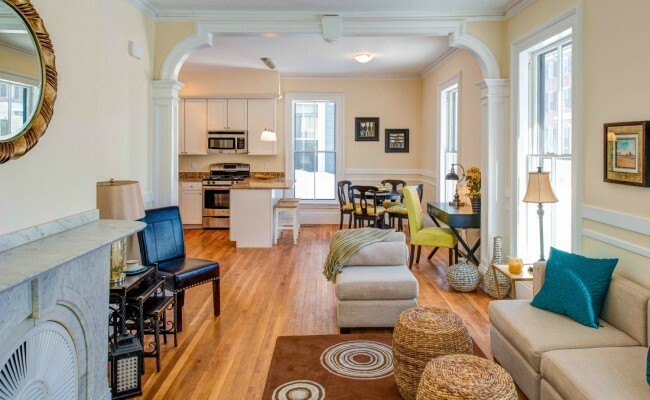 The site has ample parking for the four units plus open space for communal gathering and large basement area for storage and separate media room for the first floor rear townhome. Completed in 2014 and occupied immediately after, the Summer Street residence is another fine example of collaboration between Salem Renewal Ventures and Seger Architects Inc.